Absolute Love is a story about what happens when a life changing event puts you on a path where you never expected to be. This fantastic and thoughtfully crafted book explored what it’s like to feel like you’re losing yourself with every breath you take, when you feel like there might be no way up, no way back. It’s also a story about what will see you through that. What will see you through that darkness that consumes you, and what will ultimately bring you back to life. This book is about how life can send you spinning round and round, searching for what you need, what you’re missing, but how it can also come into such sharp focus at times because of the people around you. And that focus is worth everything. This book exemplifies that ideal, and I absolutely loved that. The moment I began this book I was very interested to see where the events of the book would take these characters. I knew the premise of this book from the synopsis, but I wasn’t prepared for how all the aspects of this wonderful book would come together. I knew Phoebe’s story would be emotional and that it would probably hurt my heart at times to read because I knew she was in for a fight, a fight to find herself and what was missing. But that fight and her journey as a character is part of the reason I loved this book. Phoebe was such an endearing character and I immediately connected to her and the authenticity I felt from her. I felt for her the instant I met her, and this author does a phenomenal job of showing and capturing all that Phoebe thinks and feels in such a way that her character felt so very real to me. You get into her head, and you just get her. You get her fears, you understand why she has them, you know why she feels the way she does and why she questions, and you just understand why things have gone the way they have. Getting to know Phoebe the way you do in this book will just have your caring for her and hoping with all you’ve got that Phoebe can find herself once again. Then this author brought in Justin’s point of view, and I was completely sold. The moment you meet him is the moment you realize that that man is ready to do whatever it takes to get back his love, his Phoebe. Justin’s point of view was such a fantastic addition to the story because it gave you the chance to see exactly how he was feeling with things with Phoebe, and to really experience the heartfelt and hard fought things he was doing to try to get his wife back. That is one determined man, and that determination defined his character in such a memorable way. It also just allowed you to see and feel what it’s like to give everything you’ve got for the one person you know you can’t live without. I also loved stepping into his head as it allowed me as the reader to learn more about how Phoebe and Justin came to be, and that just pulled me more and more into it all because I knew what they were both fighting so hard for. Absolute Love had so many layers to it, and that’s what I really enjoyed about it. You had the story of Phoebe’s loss as she tried to make sense of everything she was going through. You had the fantastic aspect of Phoebe’s dreams that added such an engaging and thoughtful element to this story. You had the puzzle pieces to the whole picture that begin to take place over the course of the book. Along with that you also had the journey and evolution that was occurring in Phoebe and Justin’s relationship, and reading those two try to figure it all out was just marvelous. Their relationship in this book definitely goes on a journey with many ups and downs, which all felt extremely authentic. It just worked, and as much I wished they weren’t experiencing the hurt and the questions and the doubts, the way this author takes these characters through this story was magnificent to read. I was so happy that I got to read and experience everything with them, and even in those moments where my heart broke for all the pain they felt and all they were going through, I loved how much I learned about them. How much I felt from them. You could tell they wanted so much to go back to the way things had been between them, but that they didn’t know if that was even possible. Reading them give it everything they had was just fantastic, and it made me so vested in their story. I was with them through all that fight, all those ups and downs, and in the end I was beyond thrilled with the experience I had with them. One seriously unique aspect to this book was the element of Phoebe’s dreams and how those played into the story. I loved getting to read them because it felt like getting a deeper view into Phoebe, and what she was going through. It also added to the mystery aspect of this book as Phoebe tries to put together the missing pieces of her past in her effort to put herself back together again. The author created and added these dreams to the story in such a seamless way, and it really just brought this book to life for me. Each dream was like a piece to the puzzle, and it gave me such a fantastic level of insight, and it really just intrigued me. I loved this aspect and it was just another reason I really enjoyed this book. 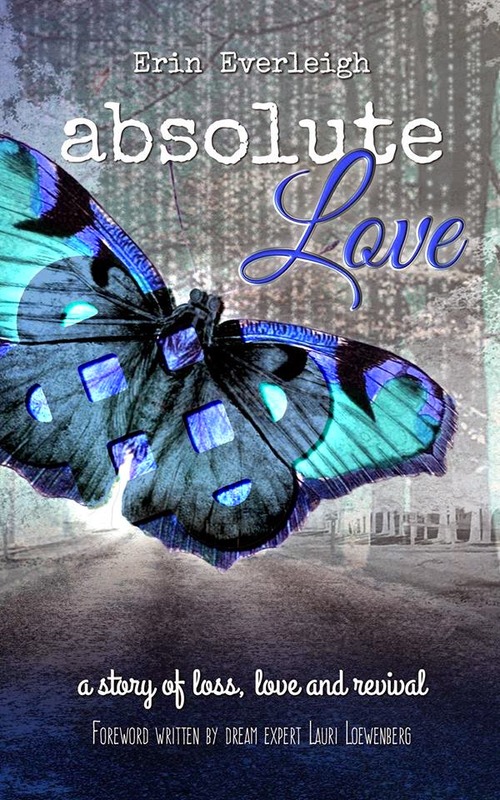 Overall, I loved Absolute Love. This was definitely an emotional book that puts these characters to the test, but this author creates their story and develops it in such a way that will have you along for that magnificently emotional ride. You’re going to love what you experience with them, and in the end you’re going to love everything this book gives you. 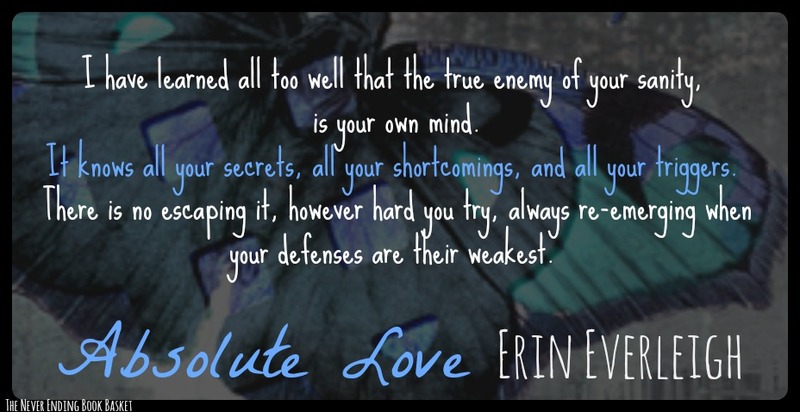 Absolute Love has such beautiful writing, thoughtfully developed and layered characters that scream authenticity, and a seriously engaging story that I truly could not put down. You’re going to be just as much invested in finding those missing pieces as Phoebe and Justin are. The moment you start this book you will be captivated by these characters, their heart pulling story, all the emotions and feels that accompany their journey together. This book is about many things. It’s about trying to find yourself after you’ve felt completely lost. It’s about the journeys that life can take you on, and how those journeys can bring you to places you never thought you’d be. This book is also about love. About what love can give you, where it can take you, and ultimately how it can change you in ways you never expected. Absolute Love is a truly beautiful book, and I’m so glad I had the chance to experience everything it gave me. Phoebe and Justin’s story will pull you in the instant you start it, and I guarantee you are going to love the journey you get to take with those two! 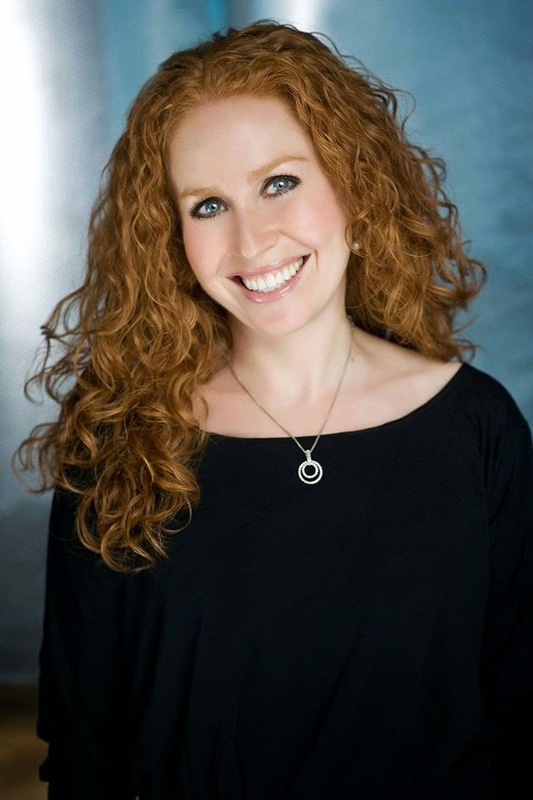 Canadian born and raised, Erin Everleigh, is the mom of three girls, who always keep her on her toes – twins age 7 and an older sister who is 9. She has a self-confessed addiction to reading that her family will certainly corroborate, and you will rarely find her without her kindle at arm’s length constantly feeding this obsession. She is the author of newly released novel, Absolute Love. A story that composed itself in her head, which she could no longer ignore. After months of writing out chapters on her iPhone, she finally opened up her laptop and decided to take the plunge.